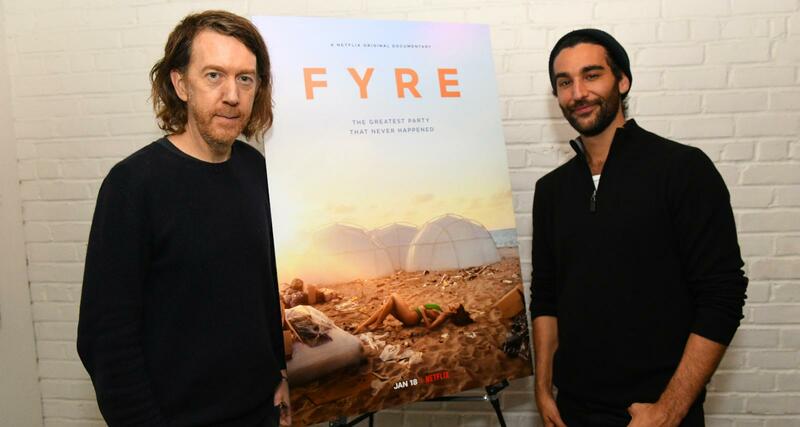 Netflix’s Fyre: The Greatest Party That Never Happened brings to light other players involved in the failure of the “biggest event of the decade,” the Fyre Festival—besides Billy McFarland and Ja Rule. Marc Weinstein was one of the Fyre Festival staff members who realized they were being conned just like the guests. The attention is now on Marc Weinstein after the documentaries revealed the plight of the staff charged with organizing the festival. Our Marc Weinstein wiki elaborates more on this festival professional outside the Fyre debacle. Marc Weinstein (no relation to those Weinsteins) was born on January 23, 1988, and is 31 years old in 2019. He’s the only boy of three children born to Dr. Lew Weinstein and Elaine Weinstein. He grew up in New York but currently resides in Los Angeles, California. He travels all over the world and his work is based in both New York and L.A.
Dr. Weinstein is an ophthalmologist in New York. Elaine is a graduate of Tufts University and an occupational therapist. Marc’s sister, Niki, graduated from NYU and is an occupational therapist based in LA. His other sister, Adria Weinstein Gerber, resides in New York with her husband and two kids. Marc Weinstein graduated from the University of Pennsylvania’s Wharton School in 2010 with a B.Sc in Economics. At Wharton, he studied East Asian languages and civilizations with a focus on Mandarin. He also played lacrosse and was in the Lantern Honor Society. Weinstein has worked in numerous fields like marketing, finance, healthcare, entertainment, and events. He has also traveled extensively for work and pleasure, and is a regular at festivals like Burning Man. He started out in investment banking for Jefferies & Company and Morgan Stanley in New York. He eventually set about his own ventures, founding TINCO, a financial consultation firm. Weinstein would move to L.A. to work at different firms like Swytch, Hypernet, Blockhead Capital, and Battlestar Capital. He’s currently the Principal at Wave Financial. However, his some of his greatest achievements are in the festival circuit. He founded 90sFest in 2014 in Los Angeles, touted as a festival for the #TBT generation. He sold 90sFest to Scopus Media and has since been a festival consultant. That’s also how he came to be associated with Fyre Festival. Also Read: Is Billy McFarland Related to Seth MacFarlane? The Fyre Festival is now a well-known disaster masterminded by Billy McFarland. As we saw in Netflix and Hulu’s documentaries on Fyre, McFarland not only conned attendees, but also duped staff and investors who worked on it. Marc Weinstein was one of the staff who got duped in the Fyre controversy. As an experienced festival consultant since 2012, he was naturally McFarland’s go-to choice to help launch his “Coachella in the Bahamas” fantasy. As a contractor, he was responsible for housing of the staff, influencers, and VIPs. Weinstein even shared pictures from the now-infamous Exuma Point Resort in the Bahamas while he was working there. But while his Instagram pictures show his initial enthusiasm, it soon turned into a nightmare for him. He spoke about it in the Netflix documentary, where he recalled that McFarland first told him to arrange housing for 400 guests. Three weeks before the festival, he was told that headcount had increased to over 1,400. The shoddy state of the Fyre Festival housing is all over the Internet, and Weinstein did try to salvage it. He sent emails to Carola Jain, the investor McFarland tapped to fund the festival, explaining the dire state. However, Weinstein says McFarland forced him to be “dishonest” to Jain so they could get more money out of her. Weinstein’s attempts to rescue the attendees and the locals suffering on Exuma were apparently shut down by McFarland. He would later write on Medium the lessons he learned from Fyre about a new type of consumerism created by social media influencer culture. He explained on Instagram that he decided to appear in the Netflix documentary to make reparations for the damages Exuma locals suffered because of the festival. He helped promote the GoFundMe page for Maryann Rolle, the restaurateur who suffered losses because of Fyre and has since received thousands in donations and support. He also started another GoFundMe page for other locals on Exuma who were financially impacted by Fyre Festival. Weinstein has since become the most relatable personality to feature in the Netflix documentary and has received tremendous support. Aside from being a financial wiz and freelance festival consultant, Weinstein is a yoga practitioner. A look at his Instagram reveals he’s quite experienced in the meditative art. He also taught yoga as a donation-based activity in New York. I was doing a handstand here, because… handstands are cool, right? Then something BIG happened – I finally allowed myself to fall into a wheel. For the first time in many years of practice, I overcame a deep fear of injuring my shoulders. Who knows if this the fear had been warranted or not – maybe my shoulders weren't ready until this moment. But I know the ability to fall without fear is going to make me so much stronger. Overcoming fear is one of the most fun parts of the journey and a clear representation of my physical practice reflecting my internal world. Love me some yoga and the lessons it brings.